Furniture shopping can turn out to be quite a task if you are not aware about your requirements precisely. When you plan to redecorate or purchase a new house, various aspects need to be considered before make that final purchase. 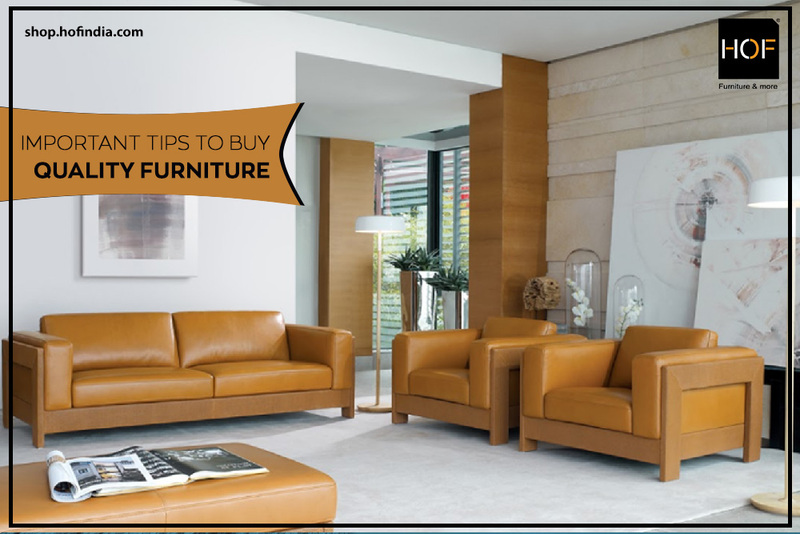 Here are a few tips to spot the right furniture for your dream abode. Know your Preferences – The ideal way to start shopping for furniture is to have a predetermined idea of the kind of furniture you want. The thought process that one can select the design while out for shopping might land you in a pickle. There are a variety of home and office furniture designs available such as modern, traditional or antique. When you have a clear idea of what is desired then you can directly ask for that type of furniture. Having a specific design in mind makes the process of narrowing down the options easier. Comfort Level – Although bright colours and fun patterns sound exciting, but when it comes to furniture priority should be given to comfort level that will stand the test of time. Good comfortable furniture set for your entire place that makes you feel like home will turn out to be an ideal choice. One can always choose furniture keeping comfort as a priority and then can opt for different colours or patterns in the same design. In this way you will love your furniture for years down the road. Detailing – if you are into antique furniture then soft wood furniture made out of Cedar or Mahogany with aromatic smell will add warmth and beauty to the space. High quality furniture may cost more but it will stand out. Quality of springs in the base, sturdiness and the structure of support system will help decide if it will last long. Quality of the material – When we talk about durability, material also plays an important role. Generally, choice is made on how the fabric looks. Purchasing a good quality leather sofa can be a good choice when you want a comfortable seating for all your guests as well make it the centre of attraction in the living room. Value for Money – Prioritising your needs always helps. Avoid purchasing furniture until you are clear about your choices and budget. Waiting for a sale that offers you furniture on budget will just save you from burning a hole in your pocket. Looking for quality furniture? Visit shop.hofindia.com now to get upto 50% off. « Why you should invest in Contemporary Visitor Chairs for Office?